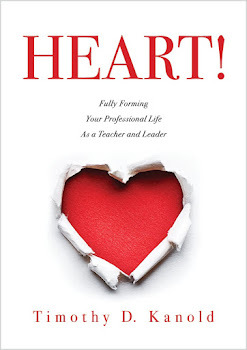 Turning Vision Into Action: What is Your Personal Vision for Assessment? What is Your Personal Vision for Assessment? Over the years I have discovered that one of the biggest problems schools experience regarding effective assessment is the lack of a coherent vision of the actual assessment practices carried out by the adults in the school. The following activity creates an opportunity for teachers and administrators to come together and discuss the factors that influence their thinking about assessment. The activity also reveals your perspective of vital assessment behaviors and reveals your personal Vision for assessment. 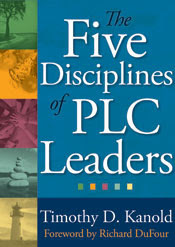 And,m as Roland Barth has stated, eventually may help your PLC Teacher Team or PLC School based team to allow your School wide coherent vision for assessment "Ooze from the many personal visions" of the stakeholders in your school. Here is the activity. If you do take the time this spring or summer to use this activity with your PLC Teams, please let me know if it helps to focus your Assessment efforts. 1. Describe the 2-3 most Vital Teacher Behaviors that are non-negotiable as an aspect of effective assessment practice in your department. Use poster paper and create a Café conversation around these vital assessment behaviors. In a Café Conversation you practice perspective-taking by writing your particular point-of-view on the paper (everyone writes) during a small group discussion. 2. PLC teacher teams pursue and teach a crystal clear TPOV (Teachable Point of View) regarding highly effective school assessment practices to each other and to their students. Now Identify 2-3 big ideas or word phrases that seem to resonate with you. Create your personal “Matchbook” definition or TPOV for highly effective assessment practices…Use 18-20 words that capture the essence of what you believe must become the effective assessment practices in your school. You may use a symbol… write this out below or on the backside of the poster paper at your table. PLC and PD: Essential Structures Required!